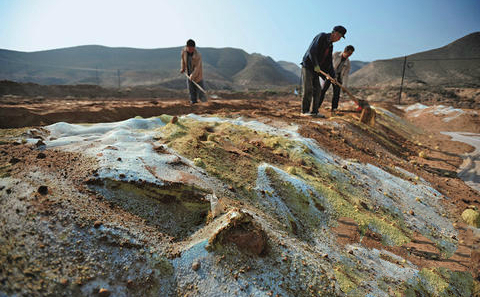 While the extent of China's soil pollution crisis is becoming clearer, the consensus on what to do next is still lacking. The results of the state soil survey earlier this year were damning: 16.1% of sampling points nationwide were in breach of soil quality standards, with farmland suffering the highest failure rate at 19.4%. Infographic: Making sense of China's soil pollution crisis? However, Wang Kairong, deputy dean of the School of Resources and Environment at Qingdao Agricultural University, says that the government has not yet reached a consensus on the goals for remediation of polluted farmland. Should pollutants be removed from the soil, leaving it "cleansed"? Or should a more moderate approach be taken, to bring levels of pollution down to an acceptable level and ensure the safety of agricultural products? There are significant differences across different levels of government. The Ministry of Environmental Protection (MEP), responsible for environmental quality, supports soil remediation in principle, on the assumption that the soil is then protected from further pollution. But the Ministry of Agriculture (MoA), which has responsibility for management of farmland, has said very little about remediation. In a written response to questions the MoA said that in the future land will be classified according to the extent of pollution and managed by choosing appropriate agricultural techniques, crop types and bans on certain types of products. But a close examination of the proposed measures show little consideration of actual remediation of the soil. And it is not just government that can’t agree – controversy also reigns in academic circles. Some maintain that polluted soil must be cleaned up or it will continue to pollute crops, groundwater and surface water, impacting on the environment and public health in the long-term . But those holding such views face two challenges: Remediation technology is not yet mature, and the costs may be more than society is willing to pay. There are physical and chemical remediation techniques currently in use on urban brownfield sites which could be applied to farmland. These are effective and farmland could be ready for use in a matter of months – but the costs are enormous. An alternative is to use biological or botanical methods, which are much cheaper but take longer and are less effective. Botanical methods use plants which tolerate and absorb the pollutants to clean up polluted soil. So you either need to have enough money, or you need to have enough time. Land remediation for the 2012 London Olympics took two years and cost £200 million. Methods used included soil washing, bioremediation and solidification and stabilisation. 660,000 tonnes of soil was treated – an average cost of £3,030 per cubic metre. While, in the 1970s and 1980s the government of the Toyama Prefecture in Japan opted to replace 3,700 mu (c24,000 square metres) of cadmium-polluted soil in the Jinzu River basin. The process took 30 years and was only completed in 2010. Since 2011 the state has funded a series of farmland remediation trials. The question is can the state afford to pay for so much farmland to be remediated? Industry insiders estimate that China’s soil remediation market will be worth trillions of yuan. That is more than central and local governments can afford. Since 1980 the US has passed a set of laws, including the Superfund Act, creating a framework for managing historical pollution. This was all based on the "polluter pays" principle. But China’s laws and regulations on the prevention and remediation of soil pollution, and on the reuse of polluted soil, are inadequate and cannot be used to clearly define the legal responsibilities and duties of the interested parties. There is still no system to hold polluters accountable. Legislators do intend to enshrine the polluter pays principle in a new law of soil pollution, but that process is still ongoing. China today faces a similar problem to US 30 years ago: even if the "polluter pays" principle is used, in many cases it is hard to find the party responsible for historical pollution. Even if the polluter is found, in many cases it is a debt-ridden state-owned company, and in effect the state will end up paying for any remediation charges. Despite the lack of political clarity, capital is already on the move. The 12th Five Year Plan for Protection of the National Soil Environment allocated 30 billion yuan of central government funding for soil remediation around the country. The following two or three years saw new soil remediation firms spring up like bamboo shoots after the rain. But many researchers point out that while soil remediation undoubtedly requires more investment, providing that investment before overall planning, business and financing models, and technical approaches are determined may not result in a solution. Gao Shengda, secretary of the China Environmental Remediation Alliance, points out that there is a lack of experience in remediation techniques and management, with the government, the public, experts and the market all unprepared for a sudden push. He says the most urgent task is to distinguish between “old and new” polluted land. In cases of historical pollution where the responsible party cannot be identified, the state should pay for remediation, along the lines of the US Superfund. In cases where companies are still causing pollution the state should use stricter emissions and supervision standards to stop further pollution. If tougher rules are not used to change polluting behaviour, the threat of contamination will continue to hang over China’s fields.